Do you have a roofing problem? 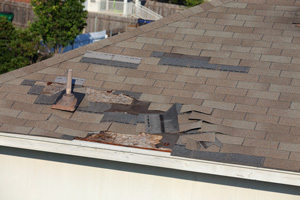 Sometimes roofing problems are obvious, like when shingles are blown off the roof during a storm. Other times, a closer look is required to identify an issue that deserves attention. 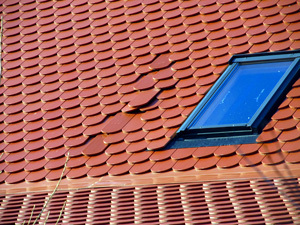 Some roofing problems are easy to detect, while others require an expert eye. The good news is that all the problems explained below can be detected and corrected when you work with an experienced, full-service roofing contractor like Sorensen Roofing & Exteriors, G.C..
No matter how big or small your roofing damage may be, we have the solutions and expertise to be able to fix the issue quickly and effectively. 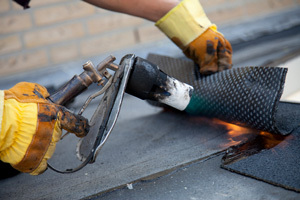 We provide reliable roofing repair services, as well as emergency roofing services, for any of the common roofing problems that might be affecting the integrity of your roof. Damage control. 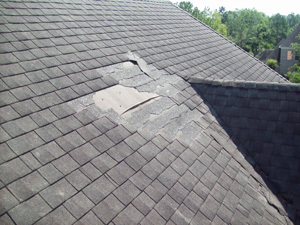 It’s a good idea to have your roof inspected on a regular basis and fix minor issues before they become major problems. We are your Colorado expert roofing contractors, based in Greeley, providing our comprehensive roofing services to property owners in Arvada, Littleton, Denver, Colorado Springs, Aurora, and many of the surrounding areas. Whether you have a leaky roof, damaged shingles, or major structural damage, contact the experts at Sorensen Roofing & Exteriors to schedule a free estimate on any our roofing services! Make note that many of the problems described here apply to all kinds of roofing materials, not just wood and asphalt shingles. One way that high winds damage roofing materials is by blowing the finished roofing entirely off the roof. Blow-off damage typically occurs in just a section of the roof or on an entire side of the roof that was exposed to the highest wind speeds and gusts. Roofing felt and roof sheathing can also be blown away by severe winds. This can leave your home exposed, but you can typically easily visually identify blow-off damage. If sections of the roof have been blown off by high winds, we will install new roofing in those sections and ensure that your home is properly protected against future storms. 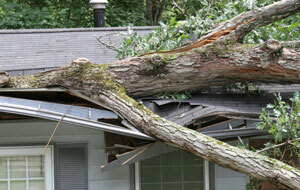 Storms and high winds damage roofing indirectly by causing tree limbs and even entire trees to fall on the roof. Structural damage from impacts can range from small punctures in the roofing and roof sheathing to the complete collapse of the roof or roof section. Depending on the damage, we will decide if the damage is worth fixing or if a roof replacement will provide better results. As a general exterior contractor we can address structural damage when we address your roofing. 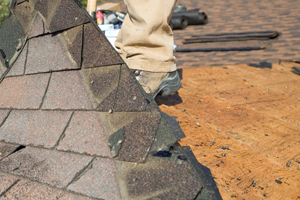 Roof shingles (asphalt and wood) can show signs of damage simply because they’re wearing out. In other cases, damage occurs due to other factors. 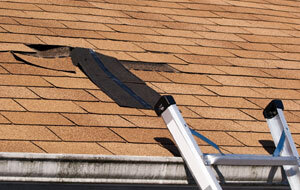 Missing, broken, and torn shingles can be caused by wind, impact, or foot traffic. 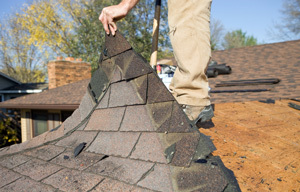 Old shingles often cup, curl, and become brittle; these are all signs that your roofing should be replaced. “Bald” shingles that have lost their protective granules detract from the roof’s appearance and will age prematurely if they’re exposed to direct sunlight. During a roof inspection, it’s also important to look for “nail pops” – roofing nails that have been pushed up through roof shingles and can cause roof leaks. Unless a large tree branch has punched a hole in your roof, roof leaks can be difficult to detect. Water can leak past the roofing materials through a hole made by a popped nail. It can also leak into your house around damaged flashing or because of water backed up behind an ice dam. The point where the leak found its way to your living space may or may not be close to the leak location at all. 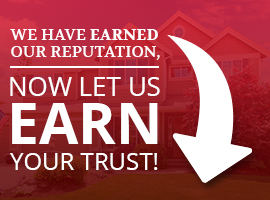 It’s smart to call in an experienced roofing professional if you find water leaking into your house from above. Sorensen Roofing & Exteriors will inspect the chimney and vents for cracks in the flashing, check the eaves for damage from ice dams, look for damaged shingles, and check the attic for leaks in the deck. The main purpose of flashing is to keep water away from building materials or building assemblies that can be damaged by moisture. 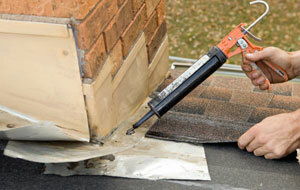 Flashing can be replaced or reused during re-roofing and roof repair. It can also be omitted or incorrectly installed very easily, allowing moisture through these vulnerable areas. Sometimes roof vents, like a gable-end vent, for example, allow insects and animals into the attic because they aren’t properly screened. In other cases, there may not be sufficient ventilation, necessitating the installation of additional vents. 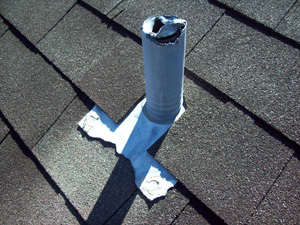 Ventilation problems can also result when vent openings are blocked. Call us at (970) 251-0911 or get a free estimate online for roof repair, replacement, or any of our other roofing services, available in Denver, Colorado Springs, Littleton, Aurora, Arvada, Broomfield, Fort Collins, Englewood, Boulder, Longmont and many parts of Colorado and Wyoming.